Monday to Friday: 8 a.m. – 9 p.m.
Our physiotherapy centre specialises in holistic kinesitherapy or exercise therapy. The spinal column and back are the key focus of attention as the centre of all processes of human movement. From classical physiotherapy through to training therapy, state approved physiotherapists ensure mobilisation after operations as well as targeted activation of individual muscle groups. A personalised therapy concept is developed for every age and every current body status. The therapeutic centre is situated directly at Friedrichstraße in central Berlin – in the 5th floor of the Quartier 207 complex, directly above Lafayette. 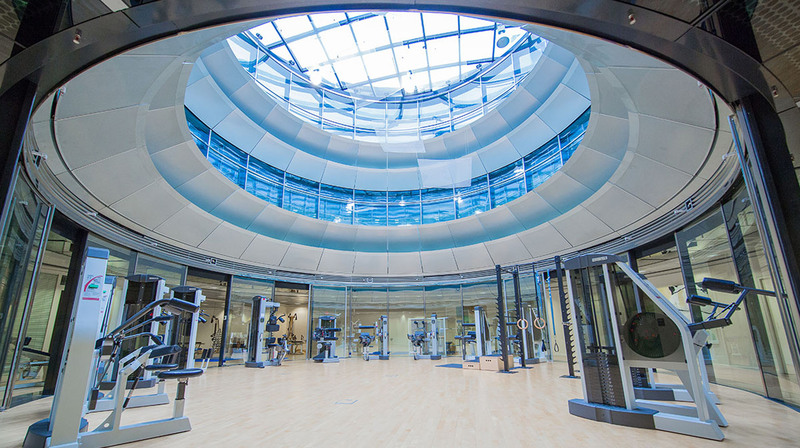 Our 830 square metre treatment and training area is fitted with specialised physiotherapy equipment. The practice is well serviced by public transport, e.g. via the U2 or U6 underground services to Stadtmitte station, which is a five minute walk away from the practice. Parking is available in our building’s own underground garage (0.80 € / 30 Min). Experienced physiotherapists are available to you within a therapy-oriented setting with first class equipment from 8 a.m. to 9 p.m.
A thorough physical examination forms the basis of successful physiotherapeutic treatment. Our diagnostic examinations complement and build upon the patient’s medical examination and are specifically aimed at movement and potential disruptions or malfunctions. Modern measuring equipment such as computer-aided spinal column analysis is available. The exhaustive medical history file, which records localised complaints, overall well-being and medical diagnoses, generates a holistic image of the patient. We ask about previous illnesses and consult with the medical doctor responsible for treating the patient. Gentle mobilisation, when movement is limited in specific joints or painful body parts, is achieved with a great deal of sensitivity and physiological knowledge. The broad spectrum of treatments applied by our physiotherapists include classic physiotherapy methods such as manual therapy, relaxation techniques, respiratory therapy, manual lymphatic drainage and massages. In addition we work with craniosacral therapy, osteopathic techniques, foot reflexology, kinesiotaping, fango mud packs, cryotherapy and electrotherapy. Back pain or overstressing of the back often leads to limitations in movement. We develop therapy concepts which provide muscles, and the postural and movement apparatus, with the stability and energetic potential needed for healthy and pain-free movement. We promote natural movement patterns from a biomechanical perspective. Our medical training therapy is a proven method to counter postural weaknesses and movement deficiencies. With the support of a physiotherapist, you work on special therapy machines and mats to build up your muscles in a targeted manner. The prerequisite is a medical and physiotherapeutic diagnostic examination, which is complemented by a computer-aided spinal column analysis. Your training plan takes into account your own personal therapy goals. A continuation in free training is highly recommended in order to maintain the muscular condition. It can improved movement which were obtained or learnt in training therapy in the long term. Your therapy plan is regularly adjusted and adapted. Our physiotherapists are available to respond to your questions at any time. 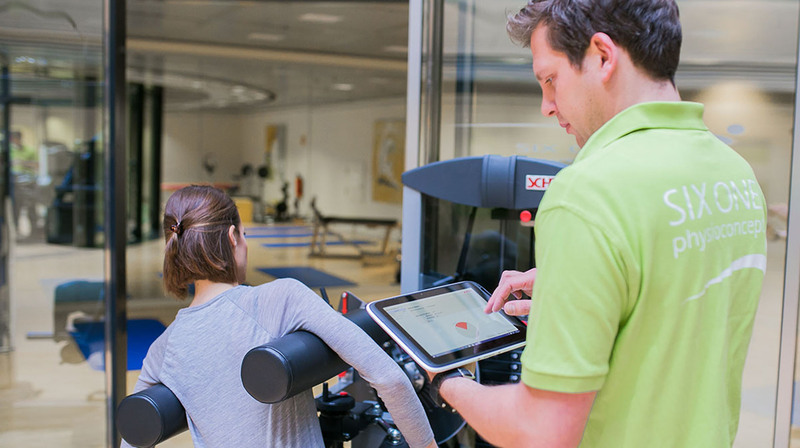 Our twelve-person team consists of physiotherapists and sports therapists with a variety of specialisations. Our team unifies the concept of holistic movement.